Please note: Pricing on one window only installed jobs start at $245 (applies to wavy, diamond & ice pattern non-vented windows). Significant discounts applied to jobs or two or more windows. Starting As Low As $134! Minimum Purchase of Two Windows Per Location Required. Similar savings on any number of windows. Fresh-Air and Dryer Vents Available for an Additional Charge. Cannot be combined with other offers. Subject to change without notice. 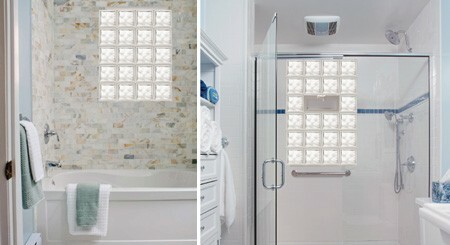 Buy 3 Basement Windows & Add On A Vented Glass Block Bathroom Window For Just $225! Cannot be combined with other offers. Additional charge for second floor bathrooms or for windows larger than 85 united inches. Also an additional charge for interior or exterior trim work. 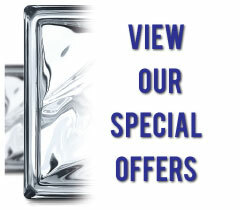 Price is valid for Wavy, Diamond or Ice Pattern Clear Block. Subject to change without notice. Energy King Windows up to 101 United Inches.